You will have many options if you want to pursue a career in pharmacy. It's common to think of a pharmacist as the person who is behind the counter when you go to fill a prescription at the drug store or grocery store. While retail pharmacy is a common career choice for pharmacists, there are many other options available in pharmacy for those who have completed their doctor of pharmacy (Pharm.D.) degree and the necessary licensure requirements. Although there are a variety of practice settings, the pharmacists' compensation range remains relatively consistent across all of these employment options, with minor variations according to hours worked and call. Retail pharmacists dispense medications at drug stores or grocery stores. While the pay and benefits are excellent, the hours can be tough in retail pharmacy jobs, due to the fact that most stores are now open 24 hours, seven days a week. If you plan to work in retail pharmacy career setting, be prepared to work at least every other weekend. Most retail stores employ two full-time pharmacists who work a shift-based schedule of 12-hour shifts alternating two days on and two days off. Clinical pharmacists work in a hospital as part of a medical care team. They typically do rounds on patients with a physician and help to determine which medications and doses would be most effective for each patient. Long-term care facilities are homes where ongoing care is provided to the elderly or incapacitated individuals who are not in need of acute medical care but who are unable to care for themselves. Pharmacists who work in long-term care homes are sometimes referred to as "closed door pharmacists," meaning they do not directly interact with patients. Typically, nurses deliver drugs to each patient's room from a cart which is stocked by the pharmacist on staff at the facility. The pharmacist is responsible for stocking and organizing the contents of the cart, dose by dose, with the prescription and over-the-counter medications for each patient. This is typically done twice per day. The pharmacist remains on call the rest of the day, including overnight. A role in long-term care would not be ideal for a pharmacist who really thrives on interacting with patients. Nuclear pharmacists are responsible for measuring and delivering the radioactive materials which are used in digital imaging (MRI, CT, etc..) and other procedures in medical offices and hospitals. Due to the nature of the radioactive materials and how they are handled, nuclear pharmacists are typically required to start each work day very early, sometimes pre-dawn, as the radioactive materials must be delivered within a few hours of their use, or they lose their effectiveness. If you're not an early riser, nuclear pharmacy jobs might not be the best option for you. These pharmacists are responsible for accurately mixing the chemotherapy drugs for cancer patients, antibiotics to treat infections and medications for patients who have gastrointestinal problems. The pharmacist works as part of a multidisciplinary team with a home health nurse. These corporations negotiate with pharmaceutical companies and healthcare insurance companies regarding coverage and reimbursement amounts for drugs on various health plans. There are not as many jobs available for pharmacists at pharmaceutical benefit management companies as there are in more traditional pharmacy roles, but such corporate jobs could provide a viable option for pharmacists who are seeking a change from retail or clinical pharmacy jobs. Still can't decide which pharmacy career is best for you? You might want to work on a contract basis until you figure out where you'd like to work long-term. Contract work entails shift-based work, on an as-needed basis. 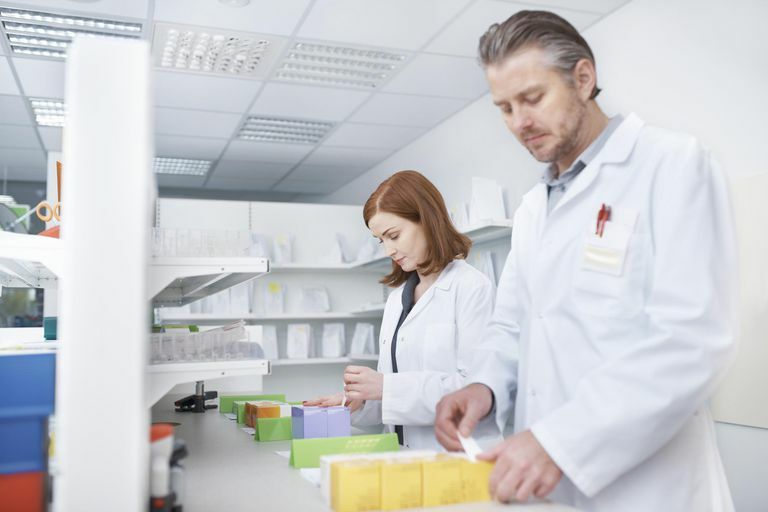 Contract pharmacy careers offer a great deal of flexibility and versatility in the schedule, which is great if you're trying to work around extenuating circumstances or a busy family. Plus, working as a contractor, you can experience several different types of employers and work settings first-hand prior to committing to long-term or permanent employment.